Moledo do Minho is a beach located on the river mouth of Rio Minho, which forms the north frontier between Portugal and Spain. This is the first surf spot you will surf when you do the surf trip from the north of Portugal because of the location of Moledo do Minho. Welcome to Portuguese amazing north coast and enjoy the best waves at Moledo bech in Portugal. You can find good quality waves in Moledo, both lefts and rights. Generally, Moledo is not too much crowded. Just be careful of rips which can appear there. 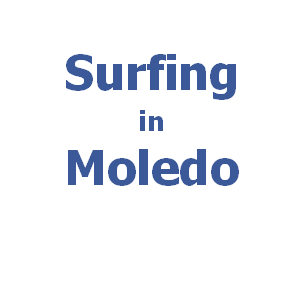 Moledo is better for intermediate surfers. The best conditions at Moledo beach come with wind from east or west and the best are southwest or northwest swells. Moledo works at all tides, but better is high tide. Ideal time of the year to surf in Moledo is from April till October.